Keep yourself hydrated with these homemade lemonade recipes. They are all delicious in their own unique ways with beautiful flavors you never knew worked so well together! Summer is here, and with its rays and warm days come the arrival of homemade lemonade. Lemonade is one of the tastiest, most versatile, and easiest drinks to make right at home. Lemonade recipes are so simple, quick, and really fun to prepare. You can pair any flavor you want such a sweet fruit with fresh herbs, edible flowers, milk, and even chili! Options are endless when it comes to flavor combinations. To help you make your very first homemade lemonade, here are 21 recipes to get you started! Kiwi’s natural sweetness help give this classic drink a tasty, fun twist. Whip up a jar of this mint kiwi lemonade this weekend for your kids. Pretty sure they’ll love its sweet, citrusy, and minty taste. 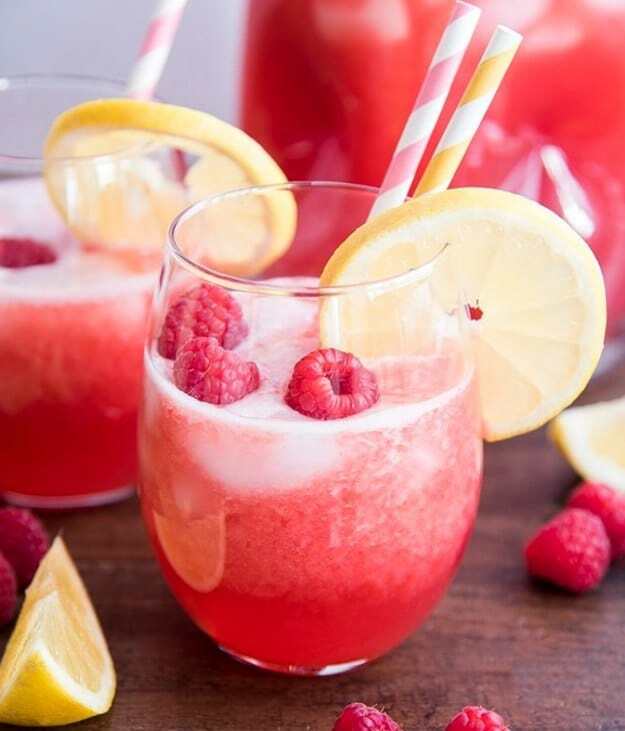 Pure raspberry juice from raspberry puree is what makes this simple lemonade refreshing and delicious at the same time. The sweet tartness of raspberries gives this drink a sophisticated flavor profile. This is a simple recipe for a refreshing lemonade, but incredibly tasty, giving both your palate and your body a treat. Cucumber and lemon help alkalize your body and keep it hydrated, so consider this a guilt-free, naturally-sweetened summer dessert. 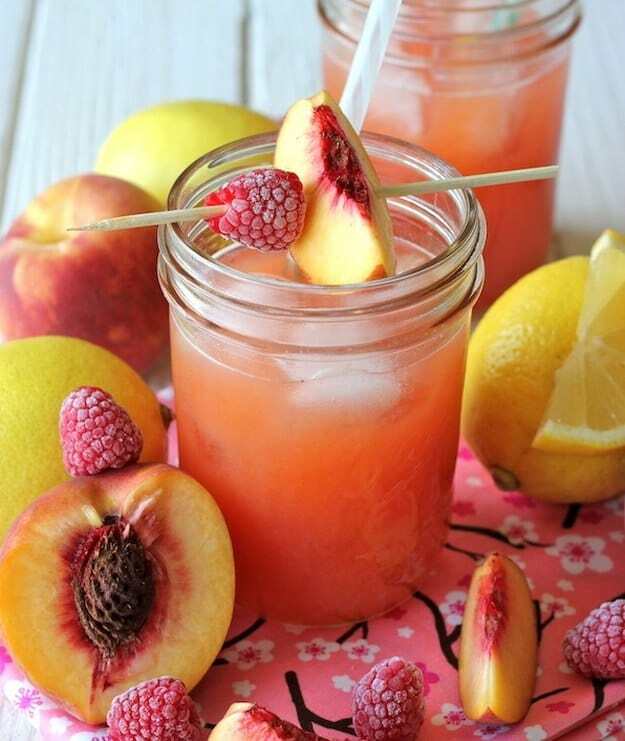 This raspberry peach lemonade is a great drink for parties and picnics; everyone, especially kids, will love its sweet and fruity flavor. Garnish with frozen raspberries and fresh peaches and you have yourself a 5-star beverage. With just three basic ingredients in lemon juice, water, and sugar, this old fashioned lemonade will be a year-round treat! This recipe is off the cuff in terms of ingredients, but spot on with flavor! Who doesn’t love green tea and all of its amazing health benefits? 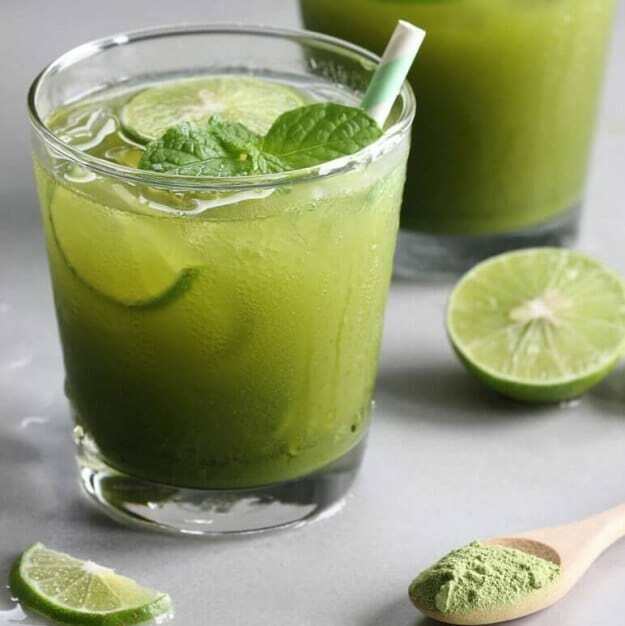 Indulge in a glass of this matcha lemonade and feel the antioxidants surge through your body. 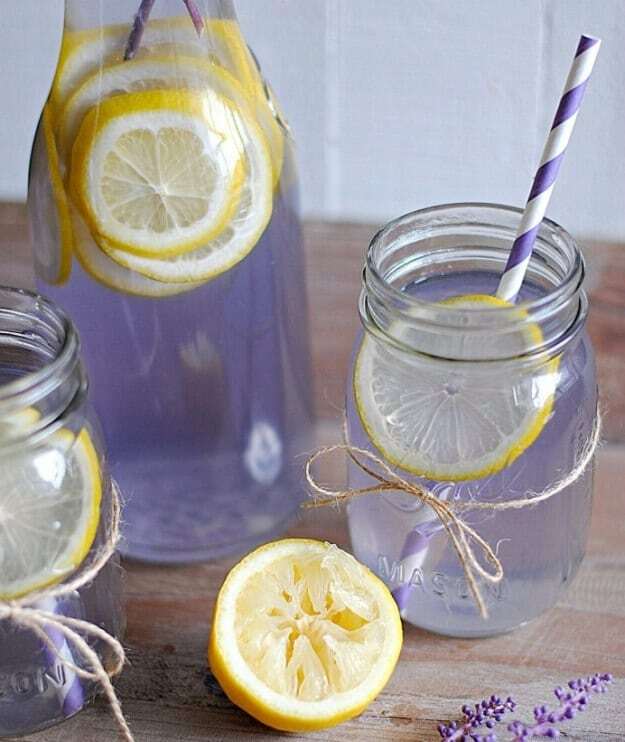 Soothe your mind and body with this amazing lavender lemonade. This beverage is calming in all aspects, making it the ideal treat for those DIY at-home spa days with your friend. 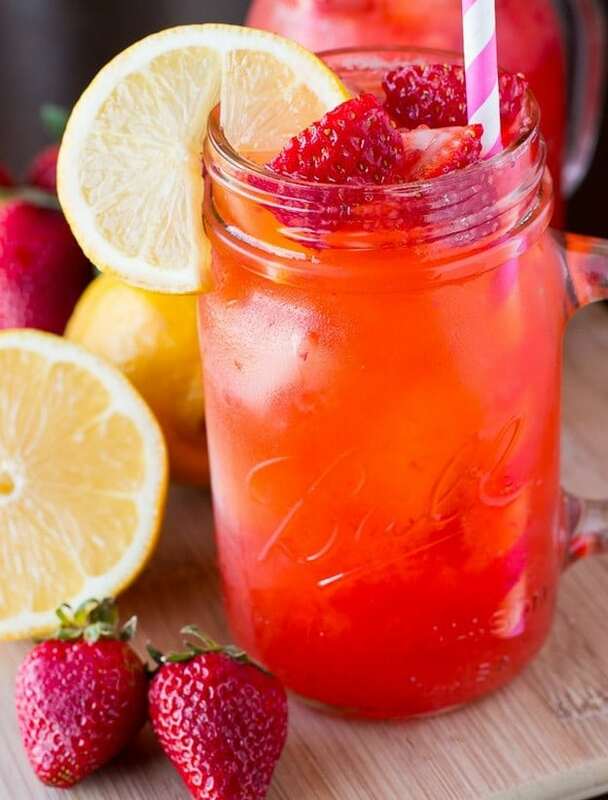 A glass of this fresh strawberry lemonade will make you wish for strawberries every day. Treat yourself to this tasty homemade lemonade recipe that is sweet, citrusy, and delightful altogether. 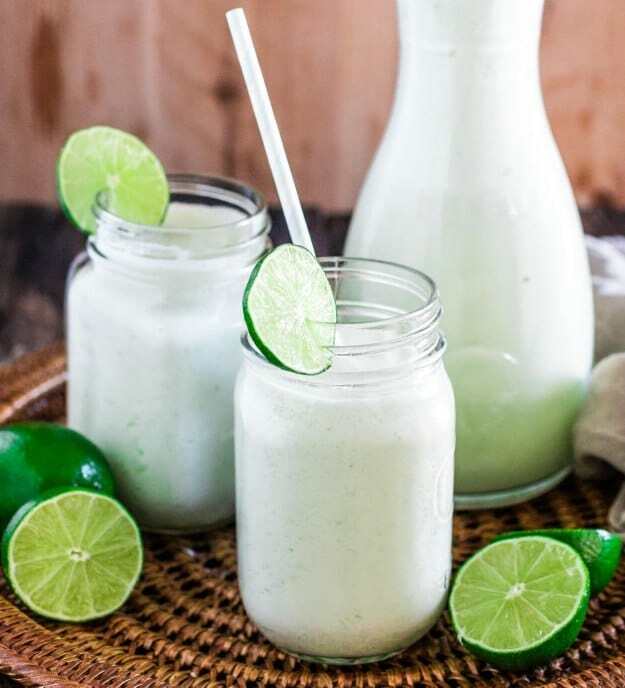 Lime juice and condensed milk come together to create this creamy and refreshing Brazilian lemonade perfect any time of the year. It is simple and quick to mix together—just 5 minutes and you’re good to go! 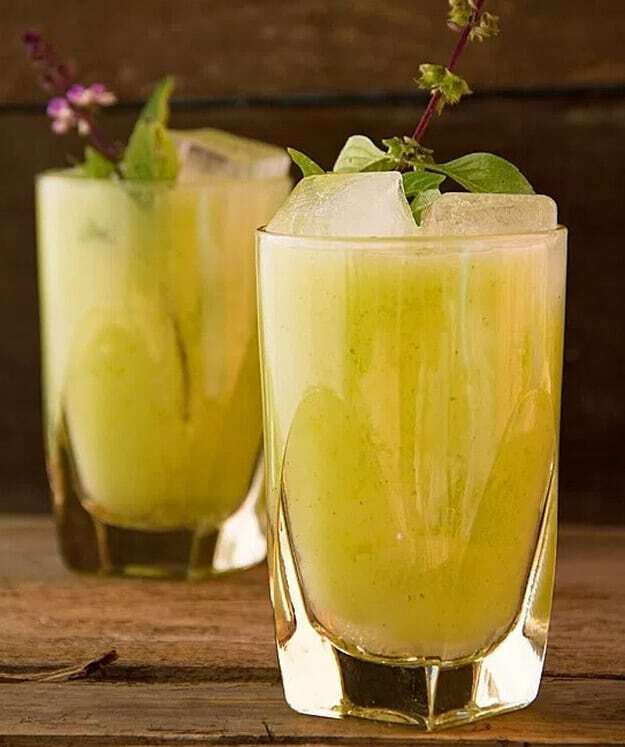 This pear basil lemonade is packed with Vitamin C from Bartlett pear and it’s oh-so-tasty! Aside from other treats and desserts, this is how you should be enjoying pears—in lemonade with Thai basil! 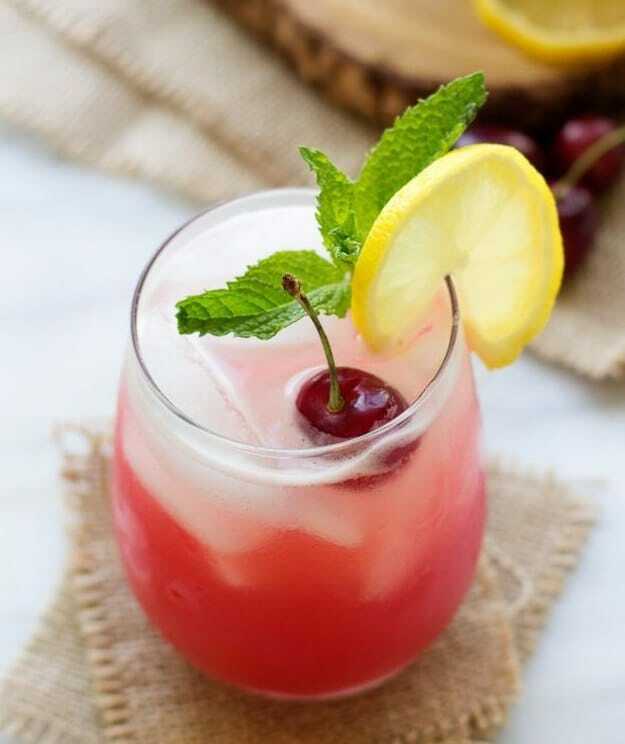 Because of its bold, tart punch, this cherry lemonade is sure to leave you looking for more ways to incorporate cherries into everything you’ll make! This is an easy peasy recipe anyone can recreate at home. 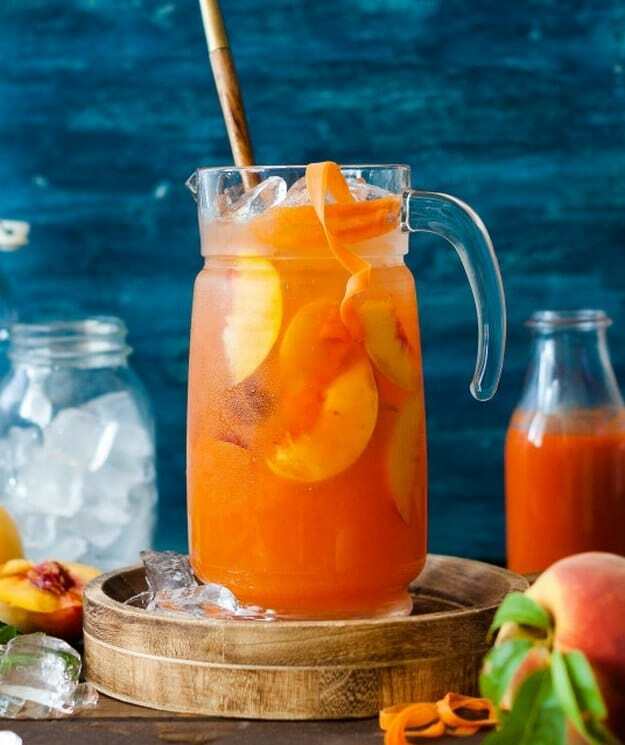 This delicious peach carrot lemonade will have you store a bunch of peaches and carrots in your fridge ,and even find a good spot to grow carrots in your garden. Why not? When you can enjoy a tasty drink and get a healthy looking skin at the same time! When watermelon and mint come together, angels cry tears of happiness. So make an angel (and yourself) happy and try this homemade lemonade recipe. 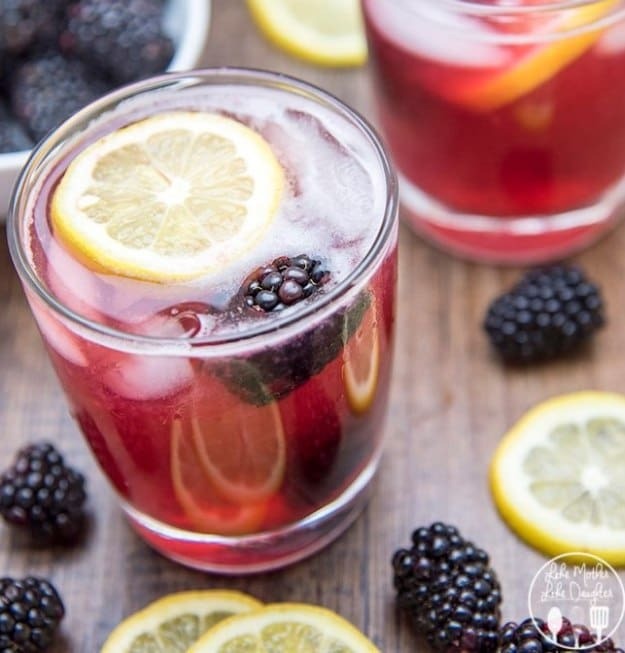 In this lemonade recipe, sweet blackberry puree and lemon juice come together to create an amazingly delicious and highly nutritious drink. It’s a tasty drink for hot summer days! This is such a unique flavor combination that will awaken and excite your taste buds. Make this lychee-Thai chili lemonade anytime of the day and let the blend of sweet and spicy dance on your palate. If you’re looking for a delicious beverage that will match your girly side, for sure you will want to get your hands on this Moscato lemonade. This is perfect for bridal showers, birthday parties, and even for weddings. Nothing can make a simple lemonade even more refreshing than fresh herbs such as mint and basil. 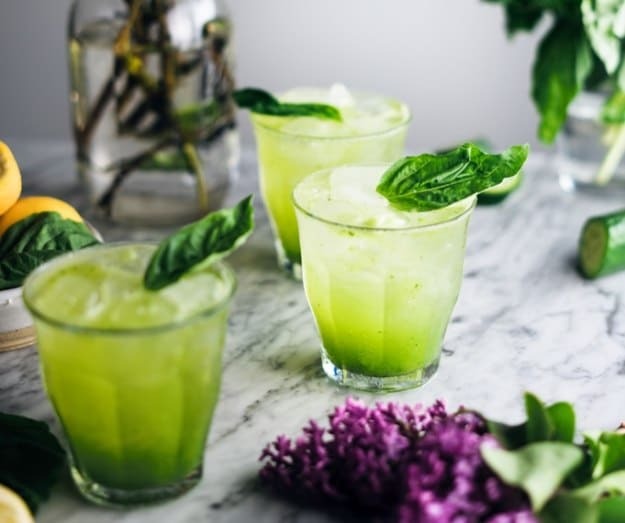 For this recipe, fresh basil leaves give this drink a nice hint of sweetness, slightly peppery, and a little bit minty. 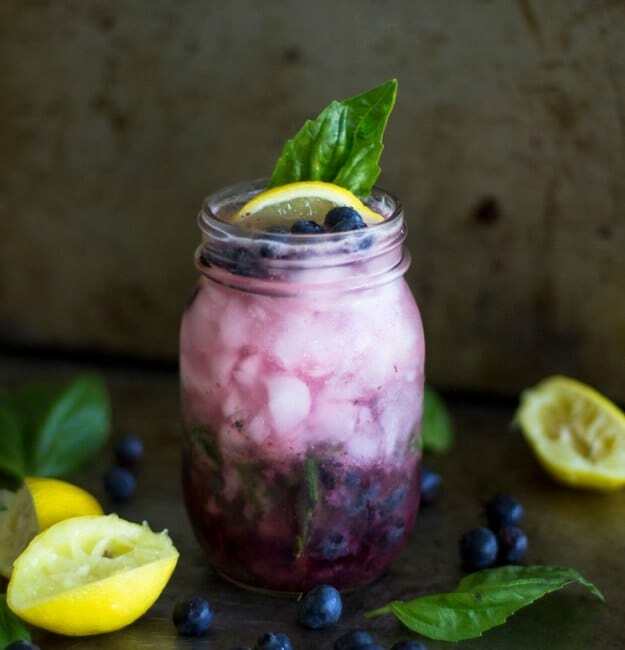 Try this sparkling blueberry basil lemonade and you’ll surely love its flavor combination. 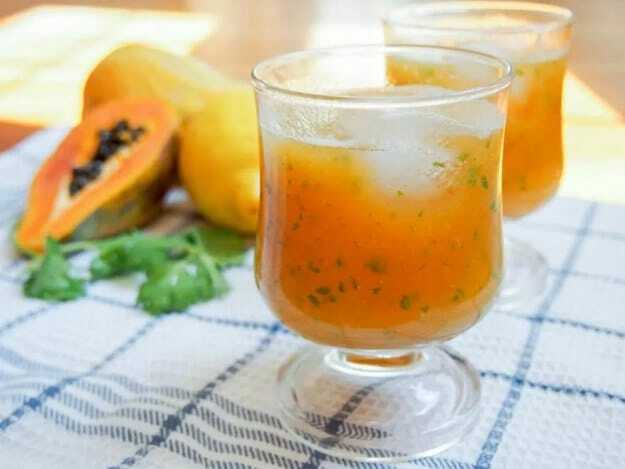 This homemade papaya lemonade recipe is not only tasty, but it also helps fight cancer and increase your body’s antioxidant production, so drink up and live longer! Treat yourself to some delicious mango lemonade and allow yourself to be blown away! It’s rich and sweet with a nice tartness. 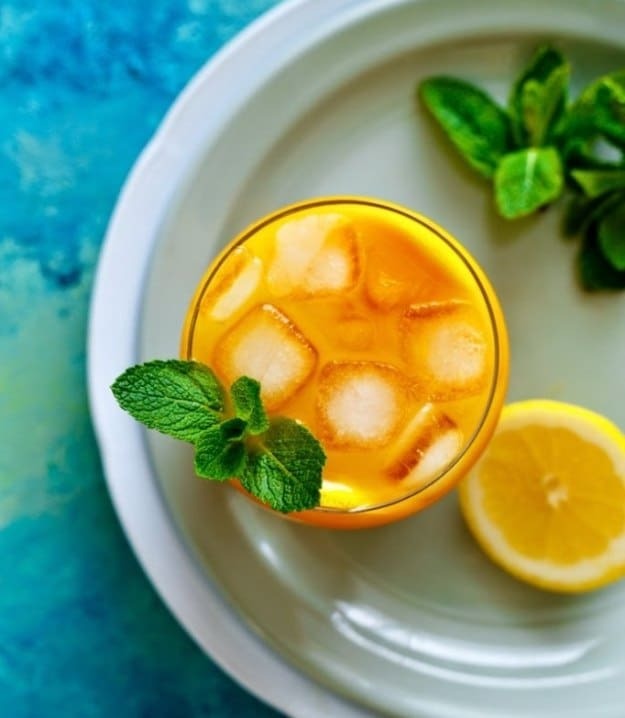 For people who love mango, this lemonade recipe is truly a keeper! Have you ever seen a mermaid? No, I mean a mermaid lemonade? If you haven’t seen one yet, then here it is! It doesn’t just sound whimsical, but it also tastes wonderful and works magic on your body. 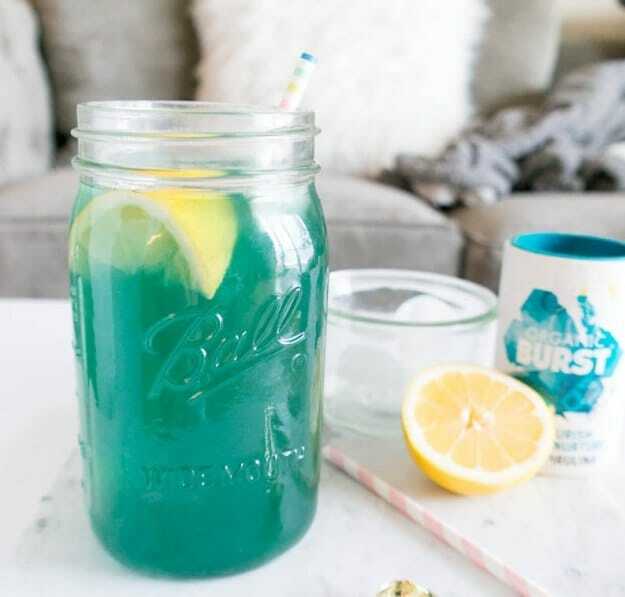 This mermaid lemonade has lemon juice, spirulina powder, and coconut vinegar. It’s definitely a must-try! Basil is the perfect addition to this refreshing lemonade recipe. We’ve seen sparkling blueberry basil lemonade, so might as well try this cucumber basil sparkling lemonade for a fun twist. You only need cucumber, basil leaves, agave nectar as a natural sweetener, lemon juice, sparkling water and voila! There is nothing better in the summer than refreshing homemade lemonade. Not only does it keep us cool and hydrated, but it is healthy and packed with a good dose of vitamins. We hope you find a new favorite on this list. You don’t have to wait for the weather to get steamy because these homemade lemonade recipes are easy enough to prepare every day! What do you think of these homemade lemonade recipes? Which recipes are you planning to try? Share your experience with us in the comments section below. Editor’s Note – This post was originally published in April 2015 and has been updated for quality and relevancy.